James A. George is a 1962 graduate of the Louisiana State University's Law School in Baton Rouge, Louisiana. He is well known for his work in the fields of Admiralty and Maritime Law, as well as Products Liability and Evidence. He has published more than fifty articles regarding these fields in legal journals across the country. Mr. George is married to the former Judith Marie Arnette and has two children, James A. George, Jr. and Gregory Brock George. Mr. George served as National President of the American Board of Trial Advocates in 1987, as well as the National Vice President of the American Inns of Court Foundation. He has served as Chair of the Admiralty Law Section of the Association of Trial Lawyers of America and is also a current member of the Southeastern Admiralty Law Institute and the Maritime Law Association of the United States. He is listed in The Best Lawyers in America and The Bar Register of Preeminent Lawyers. In recognition of his years of service on the Board of Trustees of the American Inns of Court Foundation, Mr. George received the A. Sherman Christensen Award in 1996. The award is given each year to a member of the Foundation, who at the local, regional or national level, provided distinguished, exceptional and significant leadership to the American Inns of Court movement. A ceremony was conducted in the Well of the United States Supreme Court. Mr. George recently completed several years of service as the Vice-Chair and Chair of the Louisiana State Bar Association's Professionalism and Quality of Life Committee. In 2001, he was the recipient of the President's Award at the Annual Meeting of the Association. The President's Award was given in recognition of Mr. George's service in contributing to the launching of the first series of Professionalism Orientation Programs conducted at all four law schools in the State of Louisiana. In 1991, Mr. George traveled to Prague, Czech Republic with a delegation of members from the American Board of Trial Advocates. The delegation put on a mock trial, the country's first jury trial since 1939. A year later Mr. George traveled to Krakow, Poland, to appear with the faculty of a symposium centered on a discussion of the Federalist Papers and American Constitutional Law. Vice President, Development - Baton Rouge Symphony Orchestra, 1995-96; Member, Board of Directors, Baton Rouge Symphony Orchestra; Chair, Long-Range Planning Committee, Baton Rouge Symphony Orchestra, 1992; Chair, Development Committee, Baton Rouge Symphony Orchestra, 1995-96. Chair, Attorneys Division, Community Fund for the Arts, 1991. Member, Board of Directors, Baton Rouge Food Bank, 1999 to 2005; Chair, Fund Development Committee, 2001 to 2005. Member, Board of Trustees, Trinity Episcopal Day School, 2003-2006. Board of Trustees, Paul M. Hebert Law Center Alumni Association. Board of Directors, St. Elizabeth's Foundation, 2006-2009. Vice-Chair, 1989-1990 and Chair, 1990-1991, Admiralty Law Section. Chairman, Continuing Legal Education Committee, 1975-1976; 1976-1977; 1977-1978; Member, Committee on No-Fault Insurance, 1972-1973; Vice-Chairman, 1973-1974; Chairman, 1974-1975; Executive Council, Section on Insurance, Negligence, Compensation and Admiralty Law; Member, Committee on Professionalism, 1990-1991; Vice-Chair, Committee on Professionalism and Quality of Life, 1998-1999; Chair, Committee on Professionalism and Quality of Life, 1999-2001; Presenter on Professionalism in connection with new MCLE requirement of Louisiana State Bar Association at approximately forty seminars. Recipient, President s Award, Louisiana State Bar Association, 2001, in recognition of efforts in helping to launch the first series of Law School Professionalism Orientation Programs in 2000. Member, Sections on : Litigation; Tort and Insurance Practice; Vice Chairman, Admiralty and Maritime Law Committee, 1982-1983. President and Founder, Louisiana Chapter, 1978-1979 and 1983-1985; Louisiana Representative, National Executive Committee, 1979-1986; General Chairman, Spring Convention, 1982; Chairman, Administration of Justice Committee, 1982-1983; National Expansion Chairman, 1984-1985; National Vice President, 1985-1986; National President, 1986-1987. 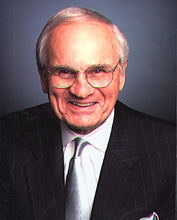 National Vice-President, American Inns of Court Foundation; Member, Board of Trustees, 1989-1995; Chair, Long-Range Planning Committee, Member, Development Committee; Member, Professional Standards Sub-committee; Charter Member and Organizer, Dean Henry George McMahon American Inn of Court; Counselor, 1989-1995; President, 1995-1997; Organizer and President, Louisiana Coordinating Council of American Inns of Court. Chair, Long-Range Planning Committee, 1991 through 1994; Chair, Strategic Planning Committee, 1994-present, Instrumental in organizing: Southern University American Inn of Court in Baton Rouge; Al Tate, Jr. American Inn of Court in Lake Charles; Acadiana American Inn of Court in Lafayette; John Duhe American Inn of Court in Lafayette; Crossroads American Inn of Court in Alexandria; Inn on the Teche, Franklin, Louisiana; Hammond-Amite Inn of Court; A.P. Tureaud American Inn of Court in New Orleans; Recipient, A. Sherman Christensen Award, 1996, presented each year to the American Inn of Court member who at the local, regional or national level has provided distinguished, exceptional and significant leadership to the American Inn of Court movement. Expert Witness, Appropriateness of Settlement Amount in Jones Act matter, Federal District Court, Ft. Smith, Arkansas. Expert Witness, Appropriateness of Quantum of Award in Jones Act matter, in Federal District Court Criminal Proceeding In Federal District Court in Jackson, Mississippi. Louisiana Organization for Judicial Excellence; Member, Board of Directors, 1999-2002. Member, Delegation of Members, American Board of Trial Advocates to Prague, First Jury Trial Held Since 1939 in Czechoslovakia, December, 1991. Member, Delegation to Kracow, Poland, for Symposium of the Federalist Papers. Listed in the following publications: Best Lawyers in America, 1995-present, under Maritime Law ; The Martindale-Hubbell Bar Register of Preeminent Lawyers, 1995-present, Member, Advisory Editorial Board, Tulane Maritime Law Journal. Member, Board of Editors, The Maritime Law Reporter. Regular guest on topics related to civil litigation on local ABC-TV affiliate, WBRZ-TV, on segment entitled Law Talk Live created by James A. George some years ago, and later on similar show on WVLA-TV until 2002. Lecturer at numerous seminars on topics ranging from Admiralty and Maritime Law and Practice, Evidence, Product Liability, General Tort Practice to Professionalism and Ethics, at seminars sponsored by , inter alia, The American Bar Association, The Association for Trial Lawyers of America, The Louisiana State Bar Association, Arkansas Bar Association, Texas Trial Lawyers Association, Academy of Florida Trial Lawyers Association, Arkansas Trial Lawyers Association, Southeastern Admiralty Law Institute, Louisiana State University Law Center, Loyola Law Center (New Orleans), Tulane Law School, Mississippi Trial Lawyers Association, University of Texas Law Center and The Longshore Institute. Co-Presenter, “Ultimate Jones Act Seminar” series in various cities, including Portland, Oregon; Tampa; Chicago; San Diego; San Francisco and New Orleans, 2000 - present.